TET (Jennifer Trimmer x Dragonfly Charmer) Ev. 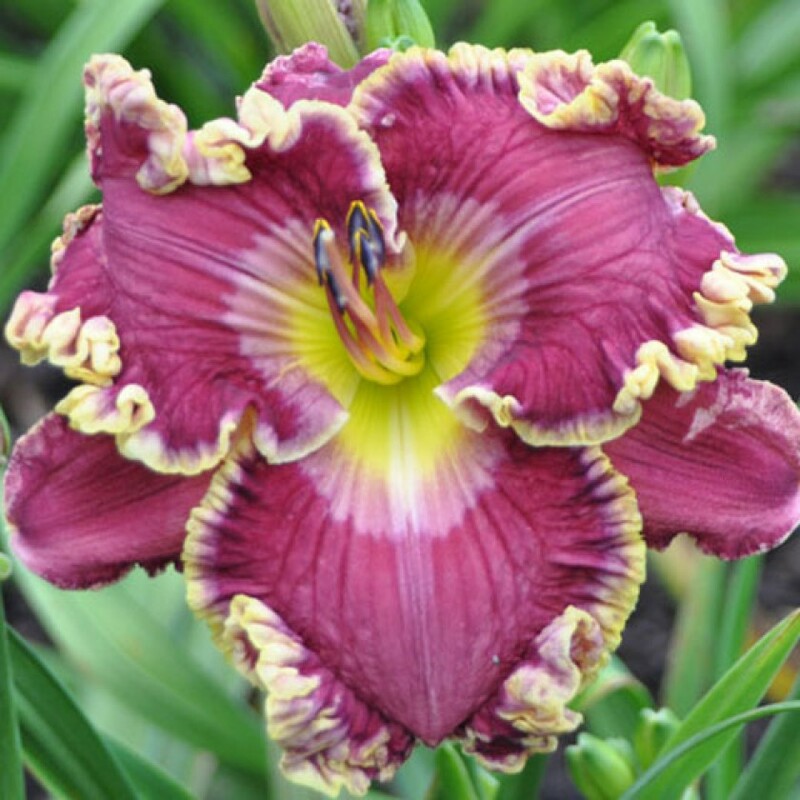 29" scapes, 6" flowers, 4 way branching with 29 buds.Dusty gray watermarks really help show off LOVE STRUCK'S vivid grape purple self color. Reflections of the beautiful watermark and throat can be seen in the edges which always have large angel wings. Great scapes and great plant habit make this an all around garden plant! Fertile both ways.